The state of Washington is fighting tooth and nail to make sure they have all of the recognition of the famous appelations around the world and, so far, every one of their arguments for it has been well deserved. 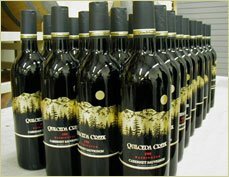 The Quilceda Creek Cabernet's are no exception. 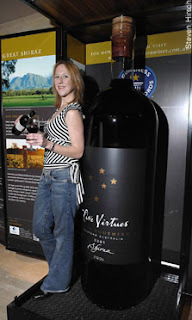 They already had a 100 point rating from Wine Advocate but now Robert Parker has pushed them in to the upper-echelon's of wine fame by rating their 2002 and 2003 Cabernet Savignon's at 100 points as well. This small winery, just southeast of Seattle, is in the Red Mountain area that is becoming well known for it's superb wines. Good luck finding it though. The $80/bottle wine is already sold out. Your best bet to get some of the new stuff is to get on their mailing list and some good kneepads.